To be honest, I’ve never been a huge fan of The Hunger Games. Like almost everyone else my age, I read the books back when hype was being built up for the movie in 2012. There was so much hype for the series back then that it almost seemed impossible a series this big could be anything less than perfect. Many young people took up archery because of the books. Throughout the halls of my high school, one would constantly hear the familiar three-tone whistle, a hallmark of the series. And yet, when the first movie was finally released to the world, I discovered that I wasn’t nearly as big of a fan of the series as I thought I was. Seeing the story on the big screen, the story seemed flat and predictable. On top of that, the series seemed to avoid the big question that makes the premise of The Hunger Games more compelling- What would you do if you were forced to kill others to survive? So, with a growing distaste for the series, I naturally attended the midnight premiere of Mockingjay Part 1. The film continues the journey of Katniss Everdeen, a young adult who, though a long series of events that I don’t feel like explaining, becomes the leader of an underground movement to overthrow her world’s totalitarian government. If you haven’t had at least a couple friends talk to you for hours about the plot of the movie and how incredible it is, maybe it’s time to go out and meet some people. Unlike the other films, the creators of Mockingjay decided to divide the one book into two separate movies. This is a move I don’t I entirely agree with. Mockingjay was already a slow-paced book. Dividing the book into two films makes Part 1 feel like filler. Exciting things have happened thus far, and we know exciting things are going to happen in the series finale with Part 2. The entire movie is spent setting up for an event that never even occurs, and in that sense it is not a good movie on it’s own. Maybe Mockingay Part 1 will be seen in a different light when it’s companion film releases next year. But for now, I wish that the producers simply made Mockingly into one whole, albeit long, movie. The saga’s previous installments were just as dense as this one, and they were fit into films that were two and a half hours. I believe that if Mockingly was created as one movie, it would have had pacing that was much more similar to the first two entries in the series. No matter how much complaining I do about the format the series has taken, the series is making unbelievable amounts of money. 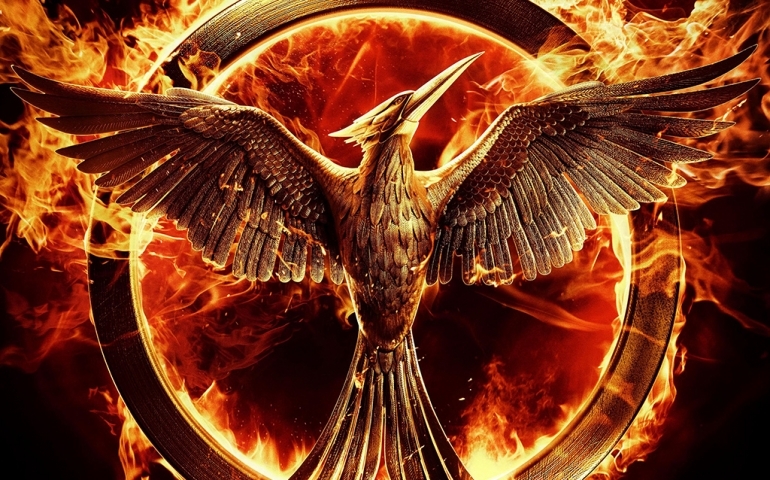 Just like the film’s producers wanted, Lionsgate has already made a profit on half a movie. On Thursday night, I paid $9 to see only a small section of a story. Next year, I will probably shell out another $9 to see another small snippet of a story. At the end of the day, I suppose it is really important for us to ponder how much corporate greed affects the creation of art, and whether we as individuals need to take a stand against those who choose money over quality.